Toast to Ten at the Westin Princeville with this Special Offer! Are you planning a trip to Kauai and looking for all of amenities of a resort while having enough space for your family? Look no further than the Westin Princeville Ocean Resort Villas on Kauai! 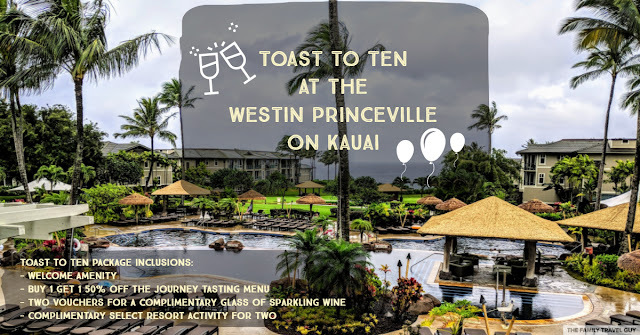 The Westin Princeville is celebrating its 10 year anniversary with an exclusive package called the Toast to Ten package. The Westin Princeville Ocean Resort Villas is located two hundred feet above the ocean on a verdant bluff along Kauai's North Shore coastline. The location high up on the bluff provides for spectacular awe-inspiring views from all around the resort. At the Westin Princeville, you can experience the amenities of a traditional Westin Resort as well as enjoy many comforts of home in its villa accommodations in either a studio, 1-bedroom or 2-bedroom lock off villa. I had the pleasure of checking out the property recently and was impressed by all of the amenities available here and the villa accommodations. Celebrate the ten year anniversary through December 31, 2018 with a three night minimum length of stay. Starting rates for the Toast to Ten package for a Studio Villa with Island View are $380 per night. 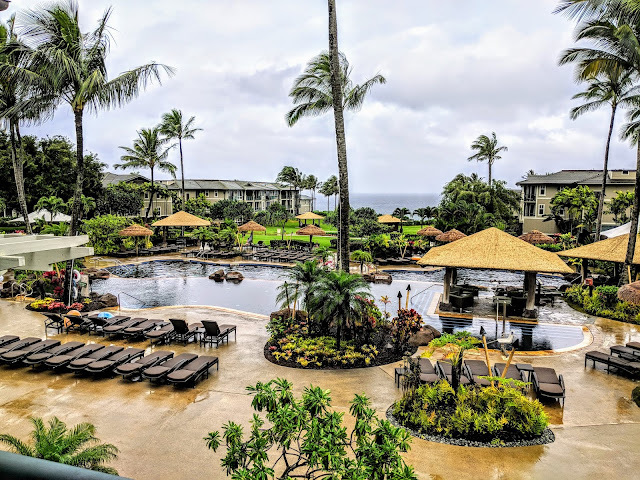 Also, note that there are no resort fees here and you'll still get daily housekeeping services, access to the complimentary resort shuttle in Princeville and complimentary wifi. Lastly, note that there is a parking fee of $15 per night. If you're interested in learning more, please feel free to contact me to learn more about how you can book this special package for your next trip to Kauai! Exclusive Hawaii vacation package deals with value added amenities featuring daily breakfast, food and beverage credit and up to fifteen percent off spa treatments at certain Starwood Hawaii properties.